We all have an internal voice. You know, the one you hear in your head, but no one else hears. It says “I forgot my keys upstairs”. At times it is judgmental – “Oh my, Fred’s socks don’t even match his pants”. It puts us down – “I know I’m going to mess this up”. Sometimes it artificially inflates us – “I’m so much better than her”. Other times we hear it repeating a conversation that we are dreading but know we need to have. It steps through all the possible ways the conversation may go. The ways that we want it to go and the ways that we fear it will go. Over and over again. I’m an introvert by nature. I don’t talk out loud unless I’m very comfortable with a topic or I have already gone over what I’m about to say in my head first. I’m (usually) not the type that talks out loud and then realizes that they should have used their internal voice first. My inner voice won’t shut up. It’s always going over a future situation or conversation. More often than not they never become reality. This has always made me a daydreamer. Most of the time the inner voice captures my attention so fully I don’t hear those around me. This is the primary challenge that I have with being in the present moment. The inner voice always has me trapped in the future, planning something out. Going over all the combinations of ways that it could go. I recognized this and have been reading about ways to create some inner peace. Ways to quiet if not temporarily silence the inner voices. This psychotic sounding condition is so common it’s “normal”. To find inner peace it’s important that we recognize the inner voice for what it is. To paraphrase Eckhart Tolle, the inner voice is not our true being, but our ego. Ask yourself, who is it that hears the internal voice? Our true being is that which silently observes the inner voice. When you recognize that you are listening to an internal voice that is your true self, your soul. Note that it isn’t the second voice, the one that debates with the other voice – “should I do this, no I should do that”. Your true being is the presence that listens to the two voices debate each other. Here are two ways we can create more inner peace. To increase your consciousness you can train yourself to recognize the inner voice. Recognize that your true being is that which hears the inner voice. Find simple triggers in your daily life that remind you to listen. Maybe every time you stand up or sit down or every time you walk through a doorway. Use those triggers to bring you into the current moment. Recognize that you are not the voice that is constantly jabbering about one thing or another. Sit back and listen to the mental gymnastics that the ego will take you through. Let it talk, but recognize it for what it is. Meditation isn’t anything mysterious. You don’t need special training. You don’t need to change any religious or spiritual beliefs to do it. Meditation is simply a way to silence the mind and create some inner peace. You don’t even need a quiet space. You can do it in a noisy room. One of the easiest ways to meditate is to focus on your breathing. Focus your attention on inhaling and then on exhaling. Breathing is so subconscious, that when we focus on it we bring ourselves into the present moment. This will often silence the inner voice. The inner voice doesn’t like to be in the present moment. What are ways that you recognize your inner voice and create inner peace? 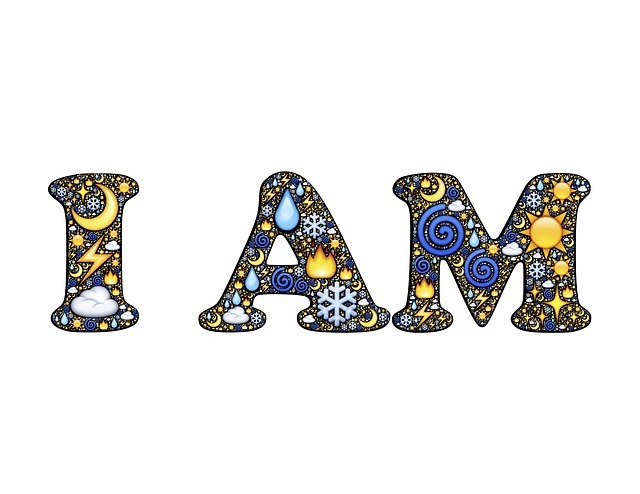 “Free Image on Pixabay – I Am, Being, Be, Am, Spirit.” Pixabay. Accessed February 5, 2017. https://pixabay.com/en/i-am-being-be-am-spirit-spiritual-461804/. “Michael Dolan Quote.” A-Z Quotes. Accessed February 5, 2017. http://www.azquotes.com/quote/769910.